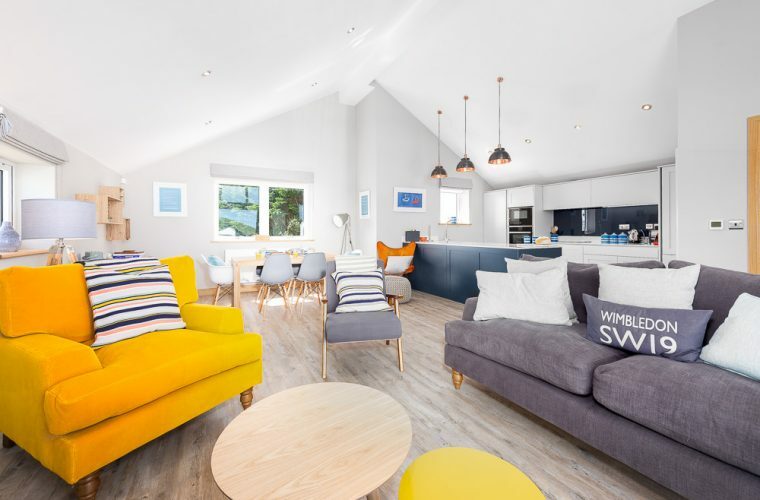 Interior design project for a coastal holiday let in Cornwall. Cornwall has some of the best beaches in the UK. With clear blue waters, golden sands and rugged coast paths, it’s hard to ignore Cornwall’s coastal colour palette. 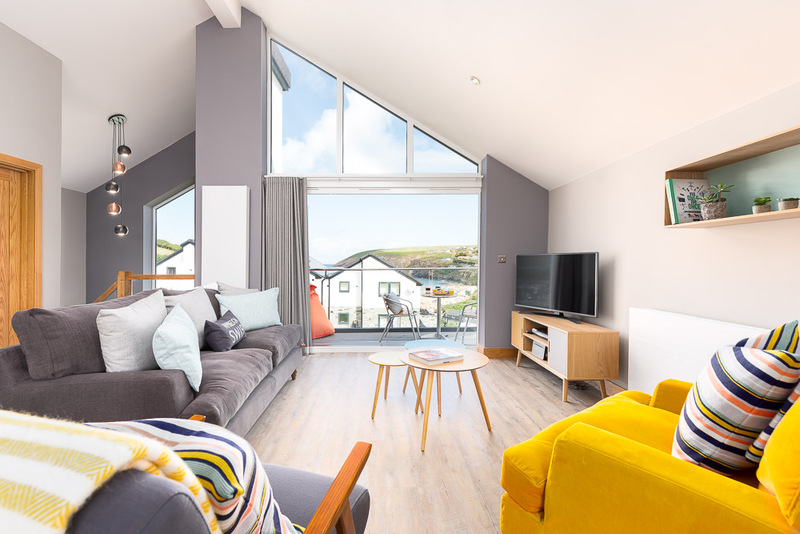 Lowen proudly overlooks Mawgan Porth beach and the Atlantic ocean. This two bed new build provided me with a blank canvas, where I could experiment and play with colour. The client wanted to create a space which incorporated colours of the property’s landscape with a contemporary feel. I used muted paint colours like soft grey and chalk on the walls as a backdrop to the coastal scheme. Bold brights were introduced through soft furnishing, with a dandelion yellow armchair and cushions. Although most people tend to shy away from yellow, the colour can instantly lift any room. Multi-coloured striped cushions in the living space echo the beach and windbreaks. 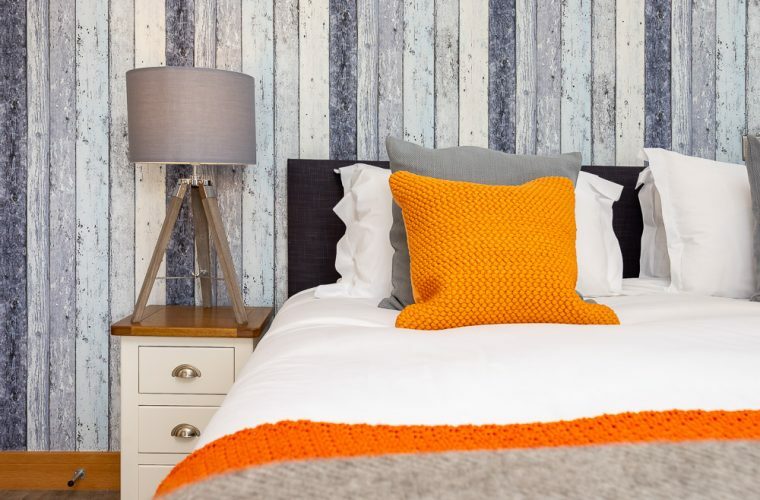 Whereas in the bedrooms, shades of blue and grey add a cool coastal vibe. The cheerful throws were purchased from Roo’s Beach and the faux plants by Abigail Ahern, dotted around the house, bring a feeling of the outdoors inside. Throughout the property there is a retro beach feel with a contemporary twist. Key furniture pieces such as the sideboard, TV unit, shelves and tan leather butterfly chair make a design statement. Artwork on the walls add a modern look, with printed place names of the local area and Cornwall generally. 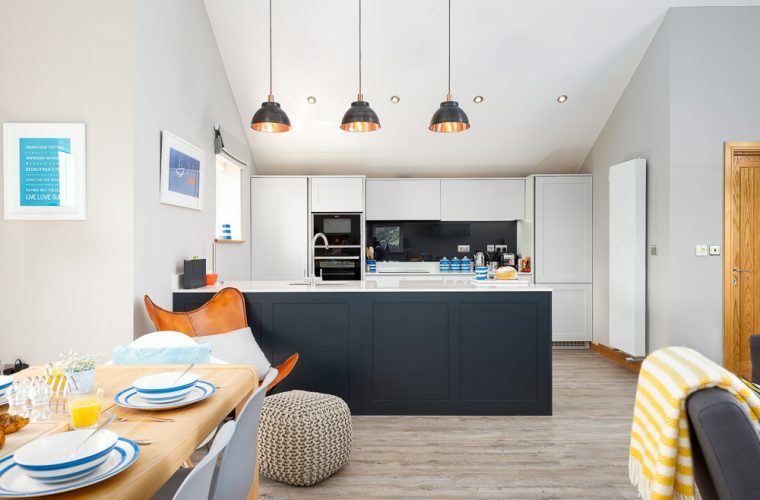 Pendant lights in the kitchen and in the stairwell were a great additional to the scheme, as they add a touch of sophistication to the design. The copper inside the shades really add warmth to what could have been a cold interior. The client has two teenage sons, who like to surf, so wanted the twin room to be suitable for them and their friends. We opted for twin beds and a grey colour scheme with a pop of yellow, so that the design complemented the other spaces in the house. 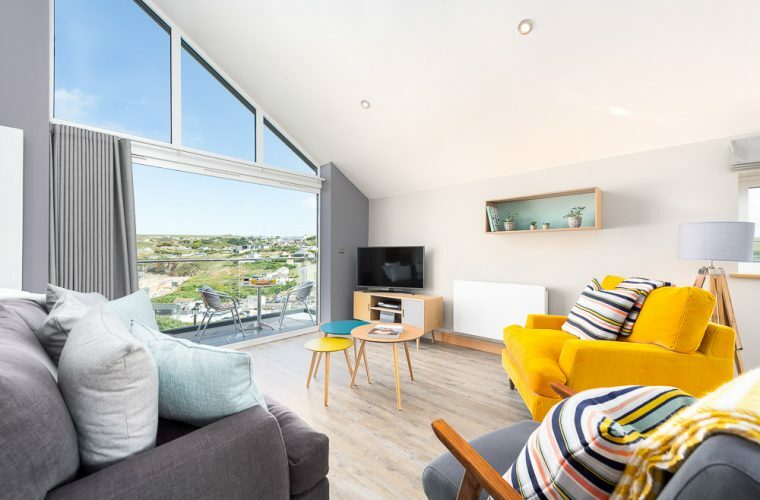 Book a stay at this retro beach-side apartment through Beach Retreats. Get the look. Find out more by reading Tracey’s blog post ‘Go Coastal‘.